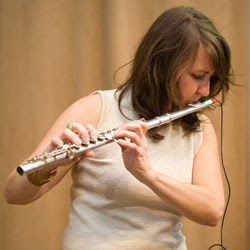 The Albany Sonic Arts Collective presents Suzanne Thorpe and Phillip Greenlief, Fossils from the Sun, and Holland Hopson. West Coast saxophonist Phillip Greenlief visits New York, and mixes it up with East Coast electroacoustic flutist Suzanne Thorpe. Together they explore what it sounds like when warm winds of the west meet cool breezes of the northeast, and the spaces in between, with electronics, singalongs, and improvisations. Fossils from the Sun is Ray Hare’s way of moving our eardrums with guitar and/or voice and/or electronics. ASAC will be unveiling new chairs for “enhanced listening comfort” (TM). To celebrate, I’ll perform 4 short pieces for amplified and processed folding chair. 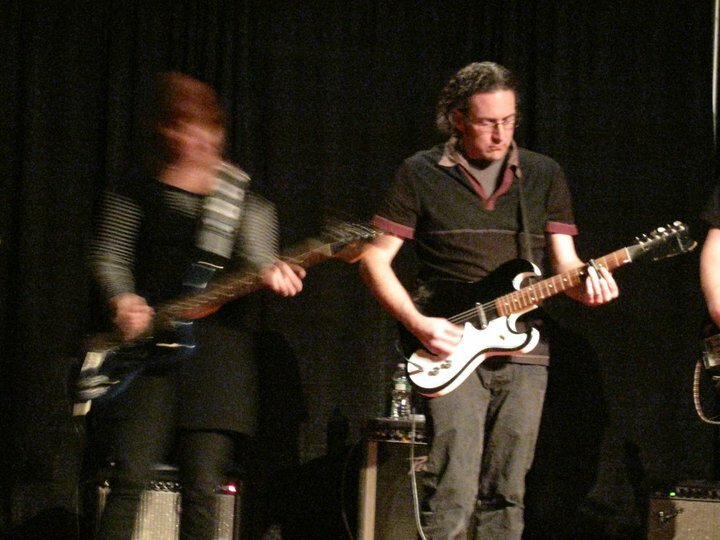 On Saturday the Location Ensemble will premiere three pieces for multiple electric guitars, bass and drums at Saratoga Arts. 1983 (Jason Cosco) will provide live visuals. Since joining to performing Rhys Chatham’s Guitar Trio last year, the group has been busy–writing and rehearsing new pieces and naming ourselves Location Ensemble. The group includes Tara Fracalossi, Howard Glassman, Eric Hardiman, Ray Hare, Holland Hopson, Thomas Lail, Jason Martin, Patrick Weklar and Matt Weston. 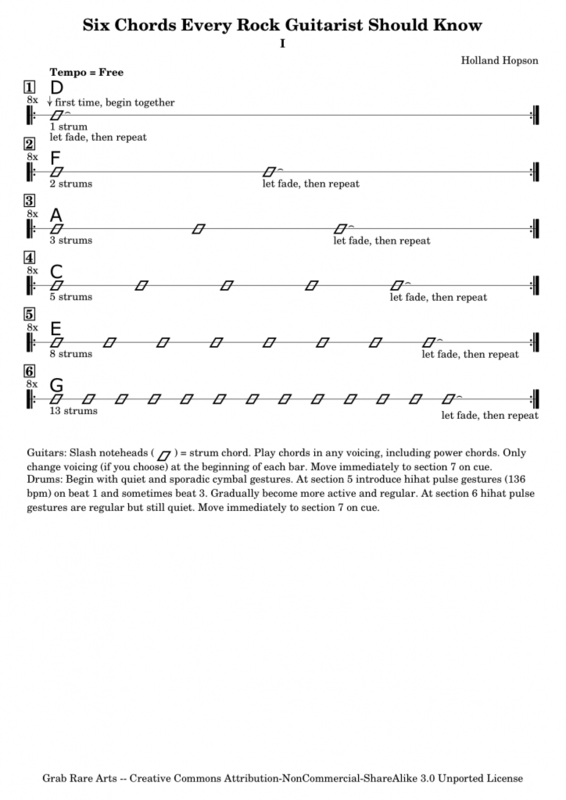 Here’s the score for my piece on the program: Six Chords Every Rock Guitarist Should Know, inspired by Michael Nyman’s “1-100” from Decay Music. 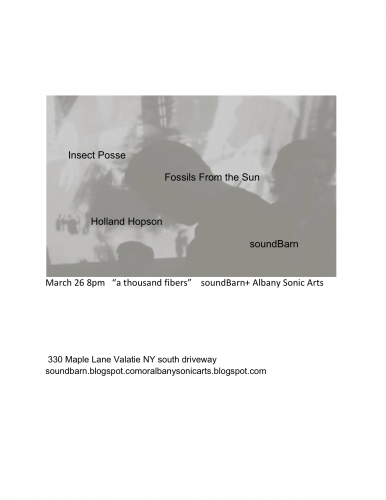 The soundBarn presents: A Thousand Fibers, an evening of long-form improvisations with members of Albany Sonic Arts Collective and the soundBarn. Featuring: Insect Posse, Fossils From the Sun, Holland Hopson and soundBarn. For this performance I’ll be premiering “2 out of 3”, a new piece for improvising quartet performed with Ray Hare, Thomas Lail and Patrick Weklar. I’ll also be performing Valerian Maly’s piece “Electric Guitar II” for solo performer with electric guitar and a bottle of champagne! The Albany Sonic Arts Collective presents their first concert of 2011 with performances by some of the Capital Region’s most exciting experimental musicians including Century Plants with Matt Weston, Holland Hopson, SoundBarn and Insect Posse. 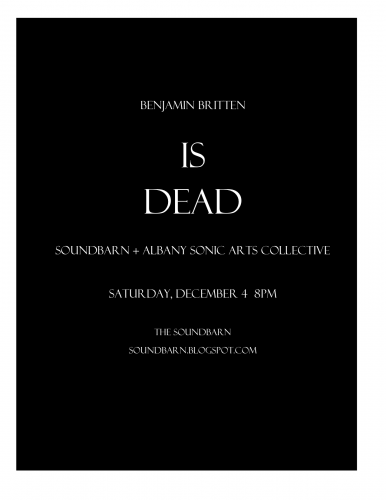 This will be my first Albany show of 2011 and my last performance before heading to the Atlantic Center for the Arts for a residency with David Behrman (more on that later…). I’ll be performing a set of music for soprano sax and computer. My current plan includes a piece using a DIY plate reverb as the primary electronic sound source. Read more at the soundBarn blog. Here are recordings from last week’s soundBarn and Albany Sonic Arts Collective performance at the Arts Center Saratoga Springs. It was a great show all around: a good space, enthusiastic audience and focused performances. This is the definitive version of Swallowtail, and I think we’re all pleased with the performance of Rhys Chatham’s Guitar Trio. 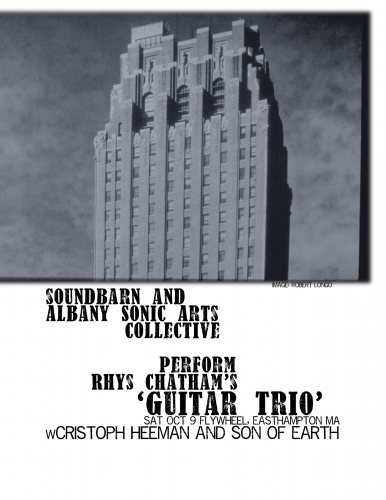 I’m looking forward to another great night with SoundBarn and members of the Albany Sonic Arts Collective. We’ll play Rhys Chatham’s Guitar Trio and my companion piece, Swallowtail. The ensemble includes the indefatigable Matt Weston on drums, Eric Hardiman on electric bass, and six electric guitars played by Matthew Ernst, Tara Fracalossi, Ray Hare, Thomas Lail, Patrick Wecklar, and myself. Read more in The Saratogian preview article. Guitar Trio at Flywheel, Swallowtail Premiere, Christoph Heeman, More! Easthampton! Are you ready to rock?! 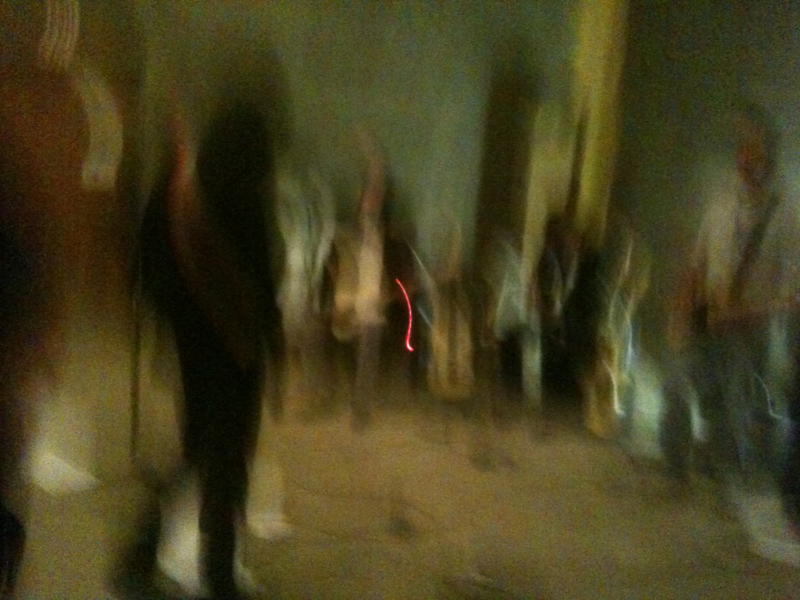 I can’t wait for Saturday night to play at Flywheel with SoundBarn and members of the Albany Sonic Arts Collective. We’ll play Rhys Chatham’s Guitar Trio and premiere my new work, Swallowtail. The ensemble includes the pummeling Matt Weston on drums, Eric Hardiman on electric bass, and six (!) electric guitars played by Matthew Ernst, Tara Fracalossi, Ray Hare, Thomas Lail, Patrick Wecklar, and myself). If you’d like to follow along, you can bring your own copy of the Swallowtail score. 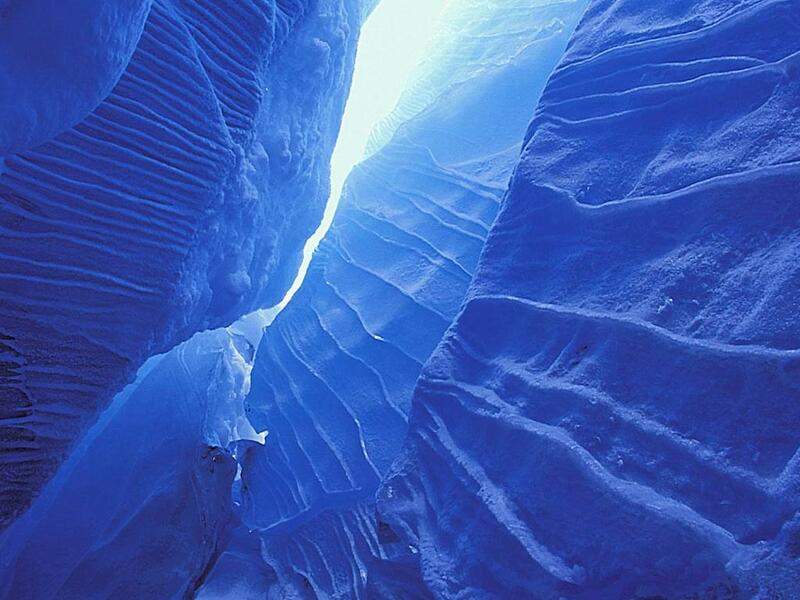 The piece is the next installment of my glissando music series–in the tradition of glissando masters James Tenney, Alvin Lucier, Iannis Xenakis, Lois V Vierk. Surrealist noise legend Christoph Heeman will perform, as will Easthampton locals Son of Earth.